As a Reiki practitioner and also as a hypnotherapist I have always been fascinated about dream control. Controlled lucid or vivid dreams allow you to access parts of your mind that you usually can’t since your physical body is completely relaxed, it’s like a very deep meditation. But, like with anything that is worth doing, it takes a lot of practice and effort (for most people). During controlled dreams you can do anything you want, you can practice symbols or protections and actually see everything (this is great if you have trouble visualizing), it can also help you with astral traveling (extracorporeal experiences), or even contact and actually speak to your guides, since in your mind you can be anything you want to, anywhere you want to, and… in sometimes you can do and be anything there, in your mind you are the God of your world, so you can create or destroy everything you want without the limitations of a physical body. I have used this a few times (it can be hard to accomplish) but it’s really worth doing it. For therapy, you can actually travel to visit the patients and also check them with more powerful techniques, since you are not limited by your physical eyes. When using this technique, a couple of times patients told me they saw me, dreamed about me or just could feel like I was nearby. For the practitioner it’s amazing, it’s like a hyper-realistic long-distance therapy! And also having “super powers”! I said super-powers because when using this technique, you can follow the same rules of a dream, “you can do/be anything”, so if you want to check on the patient’s heart and actually see it, you can. You can see the chakras with ease and such, so for as long as the dream lasts you become some kind of “Super-Reiki-Practitioner”. Sadly there’s not an exact method for achieving this, but luckily there are several ways to start practicing to achieve it. Trust me, it takes a lot of effort, but it’s absolutely worth it. First, ask yourself “Am I awake or asleep right now?” or “how did I get here?” several times a day on your daily basis, this way you will get used to doing that and eventually start doing that when dreaming, this is what we are looking for. You may add something extra, like looking at your hands and spin around in a circle, it might be strange to do that in the real world but in the mental world, it’s a very good reinforcement. Trust you can do it, it might be hard but it’s possible to achieve. You may also try sending energy to your sleep and dreams for this purpose too. I said “try” for this last point, because this is not (in most cases) an energy technique but a mental one, and controlling your mind can be a very hard thing especially because mind likes creating patterns, so getting out of those patterns it’s a very hard task. It’s strange to start controlling your dreams since it’s very easy to get along with them. One time I dreamed I was driving a scooter motorcycle at night. I have always wanted one but never owned one and I don’t actually know how to use it, so during the dream, my mind “woke up”, and I asked myself “how did I get here?”, “when did I placed the key to start the engine?”, “I don’t remember turning the lights on”, and such, so I could take control of the dream, a nice experience actually since it was the very first time I drove a scooter motorcycle, and in complete safety. Remember, when you are asleep your mind is still working, that allows you to dream. But when you take control of your mind your dreams start to be more realistic too, it depends on a bit on how good you are imagining things. After some days of practice you may have started differencing when you are asleep or awake, but in your mind many times it’s very easy to get distracted and get along with the dream forgetting it is a dream, this is a very hard part. For this I would recommend using a support audio/video file (there are several free ones available on Youtube) which uses hypnosis, but if you don’t have the time or room for that you may use audio files with binaural and subliminal, which you can just be hearing while you are doing your daily activities. For internet videos, I would always recommend you to read the comments section before start using them, since some are better made than others, check on how much people have had achieved good results with them. There can be several things you can do in a dream to take control over it, the hard part is to discover when you are dreaming. The first time I controlled a dream I discovered something was strange so I looked to my hands, rubbed them together and spun around in a circle, that gave me control. The sad part is that as soon as I started controlling it, I got excited about it and woke up. Some time later I dreamed I was standing in the line for something, I didn’t know what for, but I had this feeling it was a dream so I sat down right there in the lotus position and started meditating, suddenly everyone else there had just disappeared, so I took control more calmly. One of my students told me that it is not right to control your dreams since it can prevent you from receiving dream messages from your guides. I disagree with her, since when you are more experienced on this you know the difference between your imagination and actual visions and messages, just like when you are meditating. But the only way to learn the difference between them is with practice. Finally, by using these techniques I have managed to contact superior entities and beings, I might write about some of them in a later article, if you and they don’t mind me to do so. 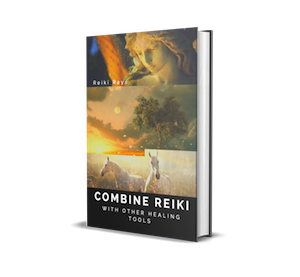 Combining techniques is an excellent way for achieving new things, and even controlling your dreams can take your Reiki practice to the next level you can use it just for fun. It’s up to you how to use your mind, we all deserve some fun too. But remember, dreams are not reality so don’t dream to avoid the real world, you will eventually wake up in the end. Reiki Therapy: What does it include?